There are a number of different threats to biodiversity in the world's oceans, but overfishing has become a significant problem that is threatening to wipe out entire populations of popular fish. There are several causes of over harvesting fisheries; understanding why people over harvest certain areas is the first step to reversing the trend. Due to the amount of money that can be made catching and selling certain types of fish as seafood and sushi around the world, more and more fisherman are hitting the ocean to make their daily livings off of what they catch. 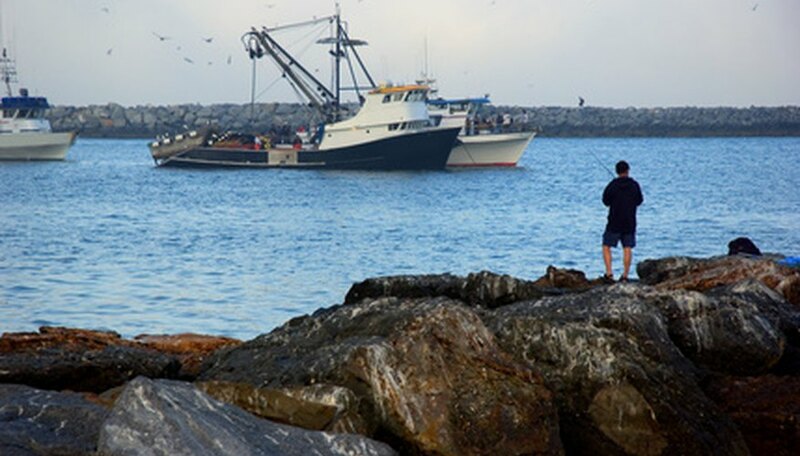 Unfortunately, many companies who fund and hire fleets of fishing boats are primarily concerned with making money and beating their competition without regard for the environment or future fish populations. Governments regulate how many fish fisherman can catch in some areas of the world, but they are behind in many developing countries. Fisherman in unregulated areas often use methods that net huge quantities of fish from the area, but destroy the ecosystem. Fishing methods like blast fishing, gill nets and certain other fish traps destroy other organisms that larger species feed on. Over the past 100 years, nautical and industrial fishing technology has made leaps and bounds, allowing fisherman to know the migrating patterns of fish, track them underwater by radar and create nets and traps. Some in the fishing industry abuse these technological advancements to make their jobs easier and more lucrative. Unfortunately, restricting this abuse through laws and enforcement is challenging on the open oceans of the world. Westlake, Daniel. "What Are the Causes of Over Harvesting Fisheries?" Sciencing, https://sciencing.com/list-7240702-causes-over-harvesting-fisheries-.html. 09 January 2018.